This is one of the most bizarre album covers around. The sad thing is I know exactly what happened to the lamb after the photo shoot. If you think that Vasile Zidaru took advantage of the little lamb in the most heinous way you better have your brain checked for perverted thoughts. Vasile Zidaru did not abuse the lamb. Vasile and the photographer took the lamb to the local restaurateur who slaughtered the animal and served it for them. Speaking of the photograph, this is one of the worst cut-and-paste jobs. In the original photograph Vasile was holding a sack of potatoes.They cut the sack out and replaced it with a lamb. Your guess is as good as mine as why the grass is blue except for one patch by the tree on the left. 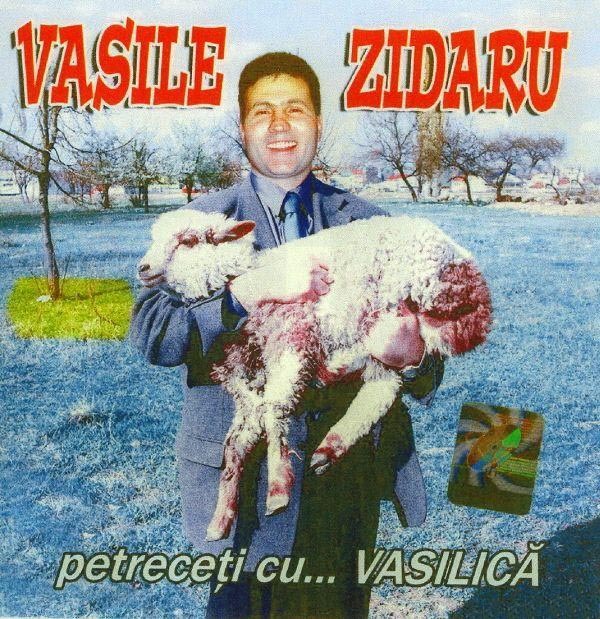 This entry was posted in Records and tagged Bad record covers, vasile zidaru. Bookmark the permalink.